On December 8, 1991 Kimberly Bergalis died, she was 23 years old. She was the first of 6 patients that contracted the Aides virus at a dental office. 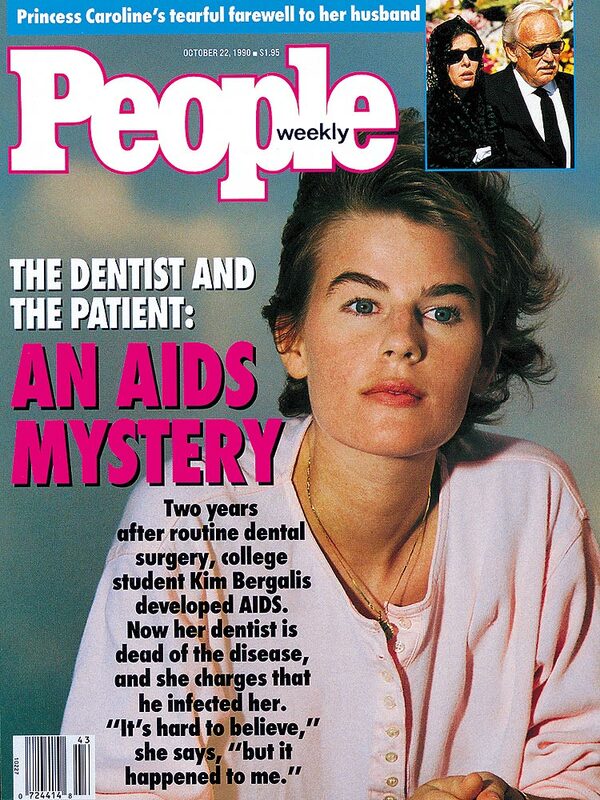 Dr. David Acer, a Florida dentist who also died of aids, was accused of purposely infecting all 6 patients. Although there was no clinical proof and the Aides virus has not knowingly been transmitted in any dental setting, the race to dental infection control began. At the June 1992 Atlantic City Dental Convention, 6 months after Kimberly’s death, my company sold 32 sterilizer and sold-out on gloves in the first day. Believe it or not, in 1991 very few dentists wore gloves or had real sterilizers, some used toaster ovens. Sterilizers … (ster·ile: ADJECTIVE .. “free from bacteria or other living microorganisms; totally clean”). The laws of physics states that sterilization occurs when an item is exposed to a consistent 120C degrees for a specific amount of time. There are several different types of sterilization systems available to dentistry, dry heat, steam heat, chemical vapor and gas. Chemical Vapor … In my opinion chemical vapor sterilization is the best system available to dentistry. This process will not rust or dull instruments and is faster due to the fact that you use a chemical solution instead of distilled water. In today’s market, this system is not practical for a dental office because of the ventilation required and the cost of the chemical sterilant. For a dental practice the wear and tear on instruments can only be avoided by using a dry heat sterilizer. Dry Heat Sterilizers … Will be the kindest to instruments but they take much longer, 2 hours @ 120C degrees. Carbon steel cutting instrument will not dull and However, autoclavable plastic will melt. Steam sterilizer are much more versatile. Steam Sterilizers … There are so many different brands and they all do the job if used correctly. Utilizing a pressurized chamber sterilization occurs very quickly but it takes time for the unit to reach pressure an temperature. Manual machines have mechanical timers that alert you to switch the sterilizer to the vent and dry modes. The drawback to a manual machine is that if it is not working correctly and you are not watching the gauges you will never know if proper temperature and pressure are not achieved, . An automatic machine will fill, heat, pressurize, vent and dry on it’s own. If the unit cannot preform the process it will shut down and alert you to the problem. Automatic sterilizers will reduce your liability and be more reliable protecting your patients, team and family. Liability … Exposure to litigation is the basis of every risk management program. We all have to protect ourselves from the ambulance chasing lawyers. It doesn’t matter if you are right or wrong, your insurance company will settle the case just to make it go away. The sad part is that it will cost you money to defend yourself. An organized risk management program will minimize your out of pocket expense. Now its time to look at you risk management program and how it relates to your sterilization protocol. Risk Management … When was the last time you looked at your personal security? We’ll look at that in my next rant. Please feel free to contact me with any questions or concerns.